Birmingham is hailed as a shopper’s paradise in Warwickshire. Here, shopping centers shall provide you with everything you ever wanted in a compact and attractive space with lots of great restaurants and café bars to keep you going. 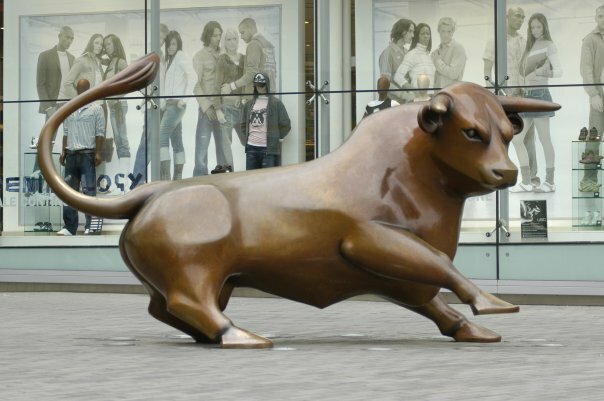 Bullring is one of the biggest shopping centers in the UK, which is comprised of over 160 shops for you to explore. Plus, its iconic department store is stocked with your favorite designer brands. Bullring is not just known for offering its visitors with a great shopping experience; it also aims to provide you with a unique dining experience. So, once you’re all shopped out, feel free to refuel in one of Bullring’s restaurants. If you are on the lookout for great buys and value for money merchandises, then Pallasades is the perfect shopping center for you. With an eclectic mix of beauty, sports, electrical, gifts, accessories and fashion stores, you can dress yourself up from head to toe. Perfume Shop, Charlie Browns and Blue Banana are just some of the popular names in Pallasades. The Mailbox offers pure shopping indulgence. Here, fashion and lifestyle design clashes head to head with fine furnishings and contemporary art. Emporio Armani, Hugo Boss and Harvey Nichols are just some of the popular brands for the fashion-savvy shoppers. Nicky Clarke Salon, Bang & Olufsen and Jaeger are also present here. The Mailbox may also be a great place to meet with friends. Indulge on mouthwatering meals at the Cosmopolitan canal side restaurants with a stunning view to match. Pavilions is jam-packed with popular names. From retail brands like Waterstones, Hobbs, La Senza, and Marks & Spencer to independent gift boutiques like Wysteria Lane. At the top of the mall, you’ll find The Food Loft. It’s a great place where shoppers could take a break for a refreshing cup of coffee or sit down for lunch. Amidst Birmingham’s hustle and bustle, one retail establishment seems to stand apart. With genteel elegance and quiet sophistication, The Great Western Arcade shall whisk you back to Birmingham’s proud Victorian heritage. With its majestic parade of high street names and boutique-style retailers, it gives shoppers an impression that beautiful discoveries awaits behind each door. Now, are you itching to go Shopping in Birmingham? Unleash the inner fashionista in you and shop ’till you drop!